Nansook Park is professor of psychology, director of the Michigan Positive Psychology Center at the University of Michigan, and a nationally certified school psychologist (NCSP). She is also a Distinguished Visiting Professor at the University of Johannesburg in South Africa. She did her graduate work both in Korea and the USA and has a research and practice background in clinical and school psychology. Her research program most broadly reflects positive psychology. Her main research focuses around a psychology of human strengths and the promotion of positive development and well-being across the life-span in different culture settings. Her research topics include character strengths, moral virtues, positive relationships, life meaning, positive experiences, and strengths-based practice, and their role in resiliency, well-being, health, family, work, and education. Her work in collaboration with the late Christopher Peterson in developing ways to measure character strengths and virtues and studying consequences and ways to cultivate good character across cultures is considered one of the most ambitious undertaking within the field of positive psychology. Her work has had impacts on research and practices in various settings including education, healthcare, business, and military. She played a major role for the U.S. Army-Soldier resilience and psychological fitness project, the Robert Wood Johnson Foundation-Positive Health project, the Annenberg-Positive Youth Development project, and the Positive Education project in Australia. She is currently leading the Resilience in Orphans project in South Africa. Her work has been featured in numerous newspapers and popular magazines worldwide including New York Times, Time, Newsweek, U.S. News and World Report, USA Today, PBS, and ABC News. 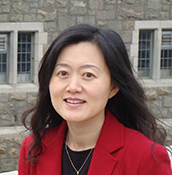 She has over 120 scholarly publications and has received several national and international awards and honors including the 2015 Christopher Peterson Gold Medal Award (International Positive Psychology Association(IPPA)’s highest honor), the Fellow Awards (International Positive Psychology Association & Association for Psychological Science), the Academic Excellence Award (Beijing Normal University & Beijing Institute of Education, China), the Distinguished Scholar Lecturer at Chungnam National University in Korea, the Distinguished Alumni Lecturer at University of South Carolina in USA, and a Templeton Research Fellow at the Positive Psychology Center of the University of Pennsylvania. She has given more than 100 invited lectures and workshops in leading institutions and conferences in 20 nations over 6 continents including China, Japan, Australia, Italy, France, Spain, Switzerland, UAE, Saudi Arabia, Mexico, and Kenya. She is a member of the International Positive Psychology Association (IPPA) steering committee, the Annenberg/Sunnylands Commission on Positive Youth Development, an Associate Editor for Applied Psychology: Health and Well-Being, and a Consulting Editor for The Journal of Positive Psychology.